Unfortunately, not everything can be done with ISE Design Suite (e.g. cross-compile a kernel image to match and arm architecture). For this reason, Xilinx getting started guide (here), describes as a requirement to count on a Linux Development PC with the ARM GNU tools installed. Interestingly though, ARM GNU tools (specially 64-bit) are known to need some packages such as ia32-libs, which can more easily be found in Debian package manager (apt). Moreover, qemu (an open source machine emulator), which can be very useful when developing for cross-compiled platform, has known issues with Xilinx version of Red Hat (here). Red Hat Enterprise Work Station. This means that we will encounter some problems installing ARM GNU tools (can be solved), and we will not be able to use qemu’s full functionality (this is a known issue which can take a long time to solve). Also we will have to purchase a license, since Red Hat is a commercial Linux distribution. To my knowledge Red Hat does not count on an University Program that allows free, unsupported versions of their operating system (I can be wrong here). Finally, and this is a matter of taste, if you are used to Debian (Ubuntu is a Debian), then moving to a different distribution can be… challenging. SUSE Linux Enterprise 11. Once again, this means we will encounter some problems installing ARM GNU tools (can be solved), but qemu does not report any known issues here. However, in this case a license is also required. Please note that openSuSe is a free alternative. Finally, SUSE is not Debian, which can also bring complications to Debian-accustomed users. After this small research, one has to decide. In my personal case, I wanted to stay with a Debian distribution (Ubuntu), which implies that ISE Design Suite is not supported. I spent 3 days full time trying to make it work. However, even when I was able to solve most of the dependency issues, a compilation error I thought to take way-too-much time to solve, made me change my mind. (Here -TO COME- are the problems I found and how I solved them. Maybe you are more capable than me, and are able to make ISE run under Ubuntu :)). This proved to be the right move, specially when after installing ISE Design Suite in a Windows environment, all problems where gone – that simple. I decided then to use both Ubuntu and Windows as my working environment. MacOS + Parallels Desktop (Virtual Box works equally good. This is just a matter of taste. Also, the kind of taste that implies a license…but anyway). My workspace is in my MacOS file system, where both VMs can read/write, being just a matter of switching VM depending on the task. Check if your system allows you to boot both VMs simultaneously without performance implications. Windows 7 Professional 32-bit VM. Please note that Microsoft counts on a University Program that allow students and staff to download legal Microsoft products. Ubuntu 12.04 LTS 32-bit VM. Start Menu > All Programs> Xilinx Design Tools > ISE Design Suite 14.4 > Accessories > ISE Design SUite 32 (or 64) Bit Command Prompt. Add <XILINX installation directory>\settings32.bat or settings64.bat to your script. The Xilinx Design Tools are ready to use. We are going to use Ubuntu for cross-compiling to our target platform (zynq-7000). This will allow us to use our Ubuntu machine as a developing host machine, and at the same time compile binaries (e.g. linux kernel, bootloader, etc) that can execute in our XIlinx board (This applies to any board). Download the tools from this link as part of the Xilinx Software Development Kit (ARM GNU Tools). Choose the Full Installer for Linux. Follow steps and install in /opt/CodeSourcery. Remember the installation path otherwise. sudo chmod 666 /etc/ttyUSB0 Or any other you might have got in the step before. impack If you gave write access to your device ports as stated before in this post, you should not get any errors. Now your Ubuntu machine is set up and ready. The workflow, one both VMs are set up is quite straightforward. For generating bitstreams or the First Stage Boot Loader (FSBL), the ISE Design Suite is needed. In this case, boot up your Windows machine and do the changes you want to the FSBL and build the project. The binary ($ZYNQ_TRD_HOME/sw/zynq_fsbl/Debug/zynq_fsbl.elf) will be generated. Since the workspace is shared, then boot up you linux machine, copy the binary to the SD CARD and boot up from the board. Any other compiling task that does not require ISE Design Suite can be performed in the linux machine. Cross-Compiling tasks must be carried out here. In this section I will make some comments on the Xilinx licensing process. It is not remarkably complicated, but some times the license can lead to some confusion. First, to use any software from the Xilinx SDK, you need a license. If you have purchased a board, a paper stating IMPORTANT contains a voucher number that can be used to produce a license file. This license can be used to get full access to the ISE Embedded and System Edition. These are the most complete editions (link). However, there are some ISE versions that can be used under evaluation licenses. For more information on how to get a license and which license you use, please visit www.xilinx.com/getlicense. 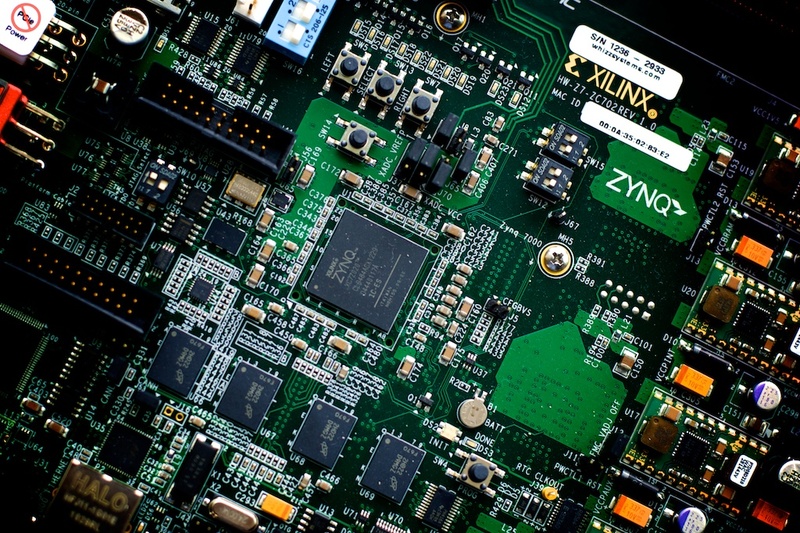 In this article we describe the different alternatives for setting up a working environment for the Xilinx Zynq-7000 SoC ZC702 Evaluation Kit. We comment on the advantages and disadvantages of each alternative, and we present our own approach, based on a combination of 2 Virtual Machines containing different parts of the Xilinx SDK. This approach leverages the benefits of having a linux developing environment, while it avoid the extra complexity of dealing with broken libraries and dependencies of part of the SDK that is not supported for certain linux distributions. By maintaining a workflow based on shared directories, the overhead of using two virtual machines is very little. This entry was posted in Development Tools, Embedded Systems, Linux, Xilinx, ZC702 and tagged Embedded Systems, Environment, Linux, Set-up, SoC, Xilinx, ZC702, Zynq-7000. Bookmark the permalink.